While some people say you can’t mix business with pleasure that adage doesn’t hold true for Bill Dance, one of the most recognizable names in fishing, and Johnny Morris, founder of Bass Pro Shops. Bill was at Johnny’s first store promotion, which was held in the back of his dad’s liquor store in Springfield, Missouri, in 1972. And that friendship and partnership is still going strong today, with Bill promoting Bass Pro Shops lures in 2015 on Bill Dance Outdoors TV show. Those watching Bill Dance Outdoors TV can see Bill demonstrate the bass catching abilities of Bass Pro Shops soft baits and wire baits. Tune into NBC Sports Outdoors, Destination America and Sportsman Channel or visit a Bass Pro Shops store to see how it’s done. Beginning Dec. 29, 2014, viewers will see Bill Dance demonstrate the bass catching abilities of Bass Pro Shops soft baits and wire baits. Bill Dance Outdoors, which airs on NBC Sports Outdoors, Destination America, and Sportsman Channel, will showcase how to fish Bass Pro Shops bait favorites such as Lazer Eye Shad, Lazer Eye Spinnerbait, XPS Grub, Tournament Series Stick-O, Tournament Series Triple Ripple Worm and more. Those visiting Bass Pro Shops stores across the U.S. and Canada can also check out what Bill is fishing with each week and how he does it via videos screens in the fishing department. Bill Dance Outdoors, which has aired since 1968, is one of the oldest, continuously running TV shows with a primary focus on sportfishing. Hosted by one of America’s most popular and accomplished anglers, Bill Dance is known for delivering great fishing tips and advice while mixing in plenty of laughs and fun. Bass Pro Shops, Tracker Boats, Nitro Boats and Mako Boats are major sponsors of Bill Dance Outdoors and Bill Dance Saltwater. For more information about Bill Dance Outdoors, visit http://www.billdanceoutdoors.com/. 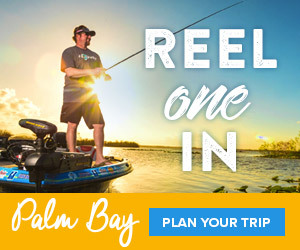 To find a nearby Bass Pro Shops store, visit http://www.basspro.com/stores/. Bass Pro Shops®, which specializes in outdoor fun, operates 90 retail stores and Tracker Marine Centers across America and Canada that are visited by more than 120 million people every year. Bass Pro Shops stores, many of which feature restaurants, offer hunting, fishing, camping and other outdoor gear while their catalogs and website serve shoppers throughout the world. The company’s Tracker Marine Group® (http://www.trackermarine.com), a leading brand of fishing boats for more than 36 years, manufactures and sells a variety of boats for fishing and cruising. Family fun is on tap at Bass Pro Shops resort Big Cedar Lodge® (http://www.bigcedar.com), voted number six by Travel + Leisure Magazine as World's Best Hotels for Families. For more information, visit www.basspro.com. To request a free catalog, call 1-800-BASS PRO. Follow us on Facebook at http://www.facebook.com/bassproshops.